Greetings to all of you from all of us at Good Shepherd Baptist Church. Our presence here in the city of Petersburg, Virginia is deliberate. We praise God for we believe His Spirit was the guiding force that led you to this place. The mission of the Good Shepherd Baptist Church is to do as Jesus did by reaching the unsaved by building a relationship with them through our witness; to reach the un-churched by exposing them to the joy of intimate relationship with God through our worship, to preach the gospel of Jesus Christ in word and deeds, promoting fellowship amongst all believers; to teach the gospel to the uncommitted that they might mature in their spiritual walk, and to promote ministry opportunities for those who have accepted the mantle of ministry. In order to accomplish this we must be passionately driven by the purposes of God and continually led by the Spirit of God. We are constantly seeking to grow to the place in God where we will no longer ask God to bless what we are doing but rather learn to do what God is blessing. I sincerely hope this is a vision you can support. I invite you to pray without ceasing for the ministry, and join us in service and fellowship. Your gifts and talents are given to you for the glory of God. May the peace of God surround you, the joy of God strengthen you, the Spirit of God guide you and the love of God motivate you into an abiding relationship with his Son, Jesus. May God bless you always and welcome! 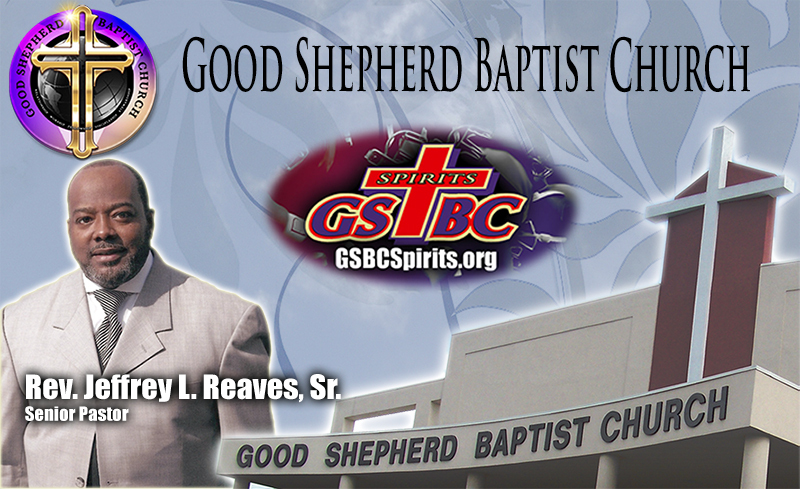 Pastor Jeffrey L. Reaves, Sr.